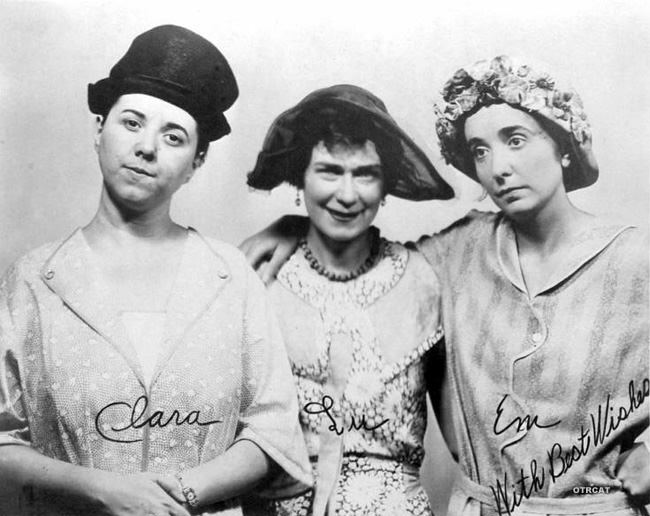 Clara, Lu and Em premiered in 1931 as the first soap opera and daytime drama to hit the airwaves. 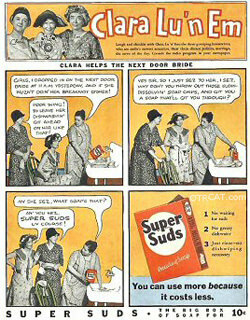 Sponsored by Colgate Palmolive, Clara, Lu and Em helped give soap operas their name, as "soaps of the day were sponsored by soap makers. 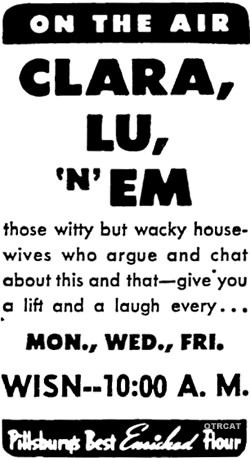 Before Clara, Lu and Em came along, daytime radio programs consisted of short, fifteen minute music shows and little tidbits of gossip and household hintery. This first soap opera was light and comedic, focusing on the daily lives and tongue wagging of three Midwestern housewives. After one year of programming, the show became a popular five-day-a-week delight – entertaining housewives across the country and setting the standard for future daily soaps. It was created by three sorority sisters from the Northwestern University, Isabel Carothers, Louise Starkey and Helen King. Be the first to comment on "Clara Lu and Em"
CLE 340705 Girls are in N.Y.